Can a subtle shift in focus really make much of a difference in your business and your income? Today our expert guest is Bob Burg, and he says the answer to the above question is YES! Bob is a firm advocate, supporter, and defender of the Free Enterprise System; he believes that the amount of money one makes is directly proportional to how many people they serve. 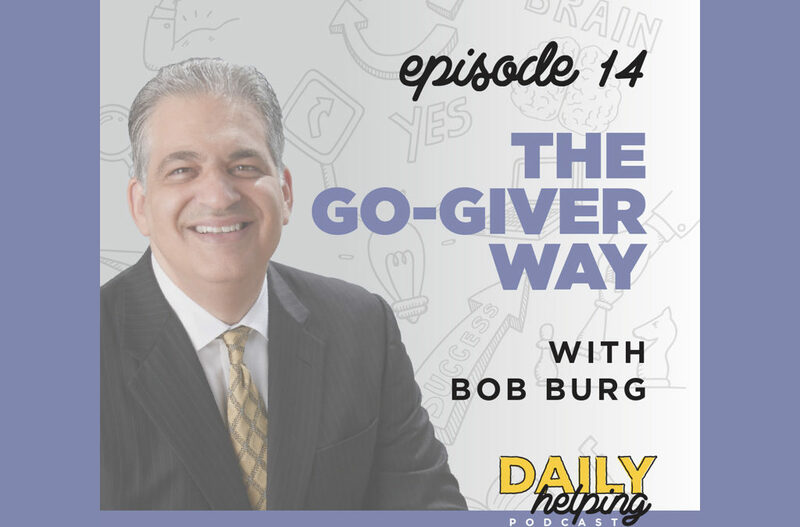 Bob is also the author of a number of books on marketing, sales, and influence, including co-authoring The Go-Giver. If you’re not familiar, the basic premise of The Go-Giver is to shift the reader’s focus from getting to giving. In this context, Giving means “constantly and consistently providing value to others,” whether that’s in your personal or professional life. This isn’t just a pleasant way to live life – it attracts success, and not just financial success. Success can be financial, physical, spiritual, mental, emotional, social, or relational… but when people are focused on giving value to others, they tend to be happier, healthier, wealthier, and successful in all of those ways that success can be measured. Value – Your true worth is determined by how much more you give in value than you take in payout. Compensation – Your income is determined by how many people you serve, and how well you serve them. Influence – Your influence is determined by how abundantly you place others’ interests first. Authenticity – The most valuable gift you have to offer is yourself. Receptivity – The key to effective giving is to stay open to receiving; we both breathe and we breathe in. How do you add value (without losing money)? Attention – Attention to detail, and attention to people as human beings. What are they saying, how are they feeling, and what are they not saying? Empathy – “Communicating empathy doesn’t necessarily mean you know how they feel. It means you communicate that you understand they’re feeling something, and this something is distressful to them, but you’re there to help them through it.” It’s possibly the most important skill, and it’s a skill because not everyone is born with it but anyone can learn it. Appreciation – Notice the things that other people do or say that make a difference, big or small, and point them out. Don’t just say thank you – mean it. When you can honestly communicate all of these five elements, you will attract an army of personal ambassadors who want to share your message.